Antivirus protection software is critical for every PC as it does a virus scan to detect and remove viruses. Without it, you risk losing your personal information, your files, and even the cash from your bank account. We’ve tested more than 40 utilities to help you pick the best antivirus protection for your computers. Computers today not just need protection from viruses but from the whole lot of malware (spyware, adware etc.,) including the unpredictable zero-day malware. In other words, we are living in an age were virus protection alone is not going to be enough to safeguard your computers. Therefore let’s take a look at the best free antivirus packages existing in the IT security industry today (today’s antivirus is equipped enough to handle all kinds of malware), so that you can use one of them. But first, understand the criteria or factors based on which this best antivirus list was created, so that you get an idea of why we listed what we listed. Spyware and Malware Scans – the ability to scan and remove spyware and malware easily. Download Protection – protection against any online download including drive-by downloads. Email Scanning – the ability to scan email for potential threats. Speed and Detection Rate – how quickly the scans can run, what about the detection rates? Compatibility – what about compatibility with various other devices. Auto-Updates – ability to auto-update itself at regular intervals. 1. Comodo Free Antivirus: We had no issues giving this antivirus the No.1 spot. Because it easily beat others hands down. Comodo Free Antivirus appeals to both tech-savvy and ‘just being cautious’ PC users. Has enough rich features which can make users go ‘is this really available for free!’. Above all, has the potential to successfully combat the ever-evolving modern-day malware. Default Deny Approach: making use of this technology (which is unique to Comodo), this antivirus package ensures all kinds of security threats are denied entry by default – until they are proven harmless. A pretty useful feature. Containment and HIPS: equipped with containment, this antivirus package can successfully ‘contain’ new malware, run it in a separate environment without affecting user PC(s). And HIPS (Host Intrusion Prevention System) does a great job in performing comprehensive scans of PC(s) and detecting any suspicious activity. Protection Against Fileless Malware: fileless malware can be hard to detect as it can successfully operate without leaving behind any traces. Comodo antivirus helps you successfully detect such fileless malware as well. Ability To Handle Zero-Day Malware: the majority of the security havoc is caused by unknown malware (or zero-day malware) which hasn’t been previously detected and therefore is hard to predict. Comodo antivirus has enough features which ensure zero-day malware is dealt with properly. This is what truly sets this antivirus apart from the others in the IT security industry. 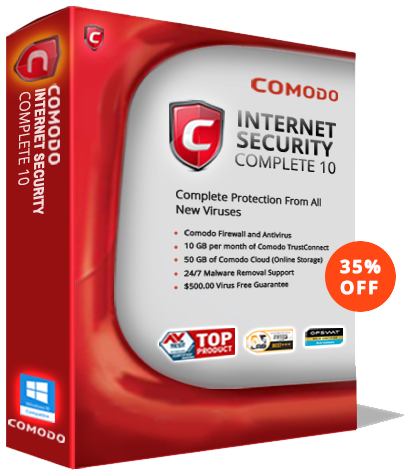 *Comodo Paid Antivirus also includes virus removal service as well. 2. Kaspersky Antivirus: Another giant in IT security industry which successfully protects PC(s) against all kinds of malware, be it bots, worms, rootkits, trojans, spyware or viruses. Also includes other features like scheduling scans, adjusting security levels, toggling specific features etc., All in all, a very potential virus protection software for your PC. 3. BitDefender Antivirus: Effective at successfully blocking and neutralizing infections, Bit Defender is built for optimization and speed. Being extremely lightweight, it successfully protects networks without overloading them. Therefore another virus protection software worthy of being downloaded. 4. Avast Pro Antivirus: Offering several layers of protection to your PC(s), Avast! Pro has been around for a long time in the industry and therefore deserves a mention. Malware which normally bypasses traditional scanners is successfully caught by this virus protection tool which makes use of heuristics engine. Also, it makes use of virtual sandbox. 5. McAfee Antivirus: One of those few antiviruses around which protects without interfering too much. It’s a perfect tool if your someone who shops online often. Offers protection against all kinds of malware including the zero-day malware. Has auto-updates as well. Therefore another really good option for users.